Read also: How Safe is your Uber or Grab? 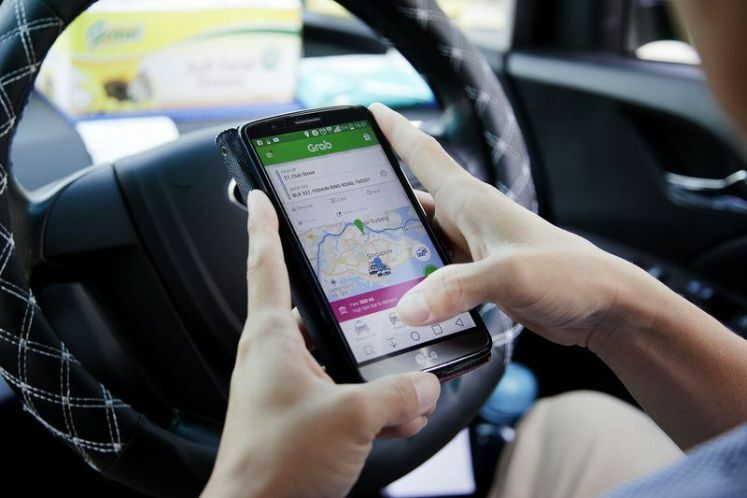 Last month, in Malaysia, a driver was arrested for allegedly punching the rider after a misunderstanding, which prompted Grab to issue a statement last week that included concise safety tips when riding one of its cars. Here is our version, with a few extra safety precautions thrown in that would make your next ride in an Uber or Grab car a safer one. You’ll be notified when the driver arrives, so don’t hang around dimly lit sidewalks waiting for your driver. Try to avoid pick-up/drop-off points that are quiet and potentially dangerous. If the vehicle’s number plate or description or driver’s picture does not match the vehicle and driver that shows up, AWAS! DO NOT GET IN! Lari in the other direction! You can share your trip with a friend or two who can monitor your journey in real-time. Should you deviate from your route or do not arrive at your destination within the ETA, she/he could take immediate action to check up on you or alert the authorities on your behalf, with the ride information already in hand. Of course, most drivers are gentlemen (and ladies, and let’s not forget that sexual harassment towards men happens too). But just in case, especially if you’re alone, let’s stay out of reach of potential wandering hands. Open up your own map on your phone, if you’re not familiar with the roads, to make sure that the driver is heading towards the right direction and doesn’t deviate too much from the route. It’s easy to tertidur when you are being chauffeured; as tempting as it might be to squeeze in some snooze-time, be alert to any unwanted behaviours from the driver and make sure you’re not being brought to some quiet, isolated place instead (have you forgotten #5 already?). Grab has an in-app emergency button which alerts the Malaysia Emergency Response Service (MERS 999). You don’t want to be fumbling for the phone or searching for the button when emergency strikes, so make sure you have your phone within quick and easy reach, and familiarise yourself with the location of the emergency button. Or, just dial 999 directly. Believe it or not, drivers are humans and have feelings too. When provoked, do some of them not turn violent? Let’s show the drivers (and their cars) respect and hope to be treated with respect in return. May of us do not bother with the last part of an Uber/Grab transaction, but it is important to provide feedback on the quality of service so that the companies can weed out any misbehaving drivers. What else do you do to make sure that you have a safe and pleasant ride? Share your tips and let’s make it safer for everyone to get around. Proton CEO to Resign; Could it be a Chinese Takeover?